Home /Is AI making you choose between being a conformist sheep and a frightened chicken? 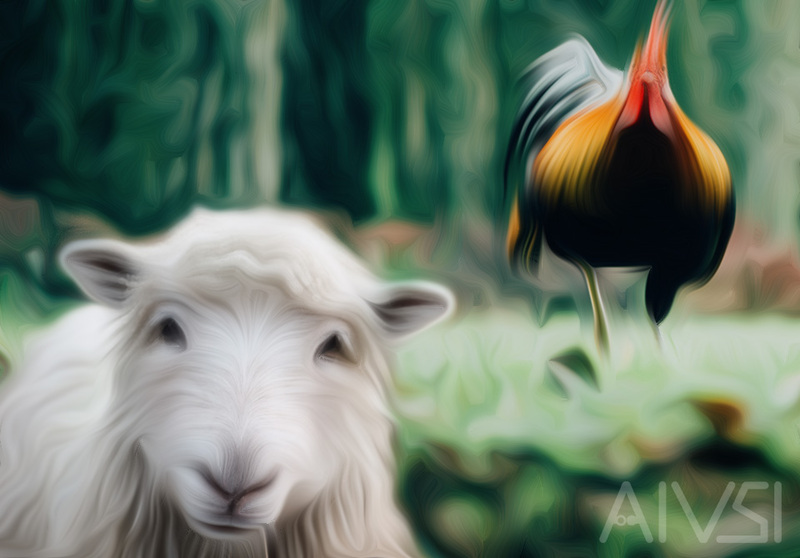 Is machine learning making you choose between being a conformist sheep and a frightened chicken? The title of this article might sound a bit odd, after all, what does machine learning have to do with farm animal metaphors, and why am I trying to superficially label you in such a disrespectful way you might ask. No offence intended but if you want to improve your life, and possibly your sanity, this article will try to shed some light on some unintended negative effects the internet and more specifically its behavioral algorithms have on your life. As you might have already noticed, unless you have started using the internet yesterday, whenever you use someone else’s computer to search the web or browse websites, it feels really unfamiliar and awkward. You can’t seem to find what you like most of the time; you see ads for various products you don’t care about etc. This is because almost all the websites you visit, especially big services like search engines, video or news websites track what content people access in order to decide what content is more relevant. Some of them give you the option to opt out of being tracked, but many others do not. And even those which you can apparently browse anonymously still track the activity in your neighborhood, your city, your country, your internet service provider, and everything they can, really. At this point you might be thinking this article is starting to feel like some sort of conspiracy theory; well, it’s not actually. All this tracking is, in principle, well intended, partly for your benefit, partly for the benefit of advertisers. You see more content that is relevant to your interests and advertisers have the advantage of marketing their products and services to people who might actually buy them. Everyone wins it seems. The job that algorithms have to do in order to match advertisers and potential buyers is somewhat easy. For example, you search for “hard drives” for example over the course of a few days, open a few stores, read a few reviews; it’s fairly obvious you are probably interested in buying a hard drive. So the advertising networks that track your activity will start showing you ads for hard drives. Figuring out what subjects interest you personally, not for commercial reasons is a little harder than that, and as much as machine learning has evolved, having billions of variables that they use to make decisions, the algorithms still generally resort to basically the same basic strategy of tracking what you search for, what you click on and what websites you spend your time on, and then try to show you as much related content as possible. Now that I have gone through the most basic concept of how algorithms are used tracks you, let me explain the sheep and chicken metaphors. Let’s suppose you are concerned about your online privacy and do your best to prevent the tracking of your activity on the internet and let’s say you open a website such as YouTube which respects your request for privacy and anonymity, at least as far as they claim. From the point of view of YouTube’s algorithm you are a brand new visitor, so it has no idea what to show you; but it has to show you something, it can’t be a blank page. So it does its best to determine what content to put together on the page based on more general data, such as what videos most people watch in your country or region. If you were to anonymously browse YouTube all the time you would be exposed to only those interests and views that are most popular in your area and since your brain tends to be influenced by what it interacts with you will naturally be influenced by those views and preferences and to some degree become the proverbial sheep in the herd. Of course you will still have your own thoughts, personal beliefs, preferences and opinions, but your view of the world around you will definitely be influenced and that will slowly change your internal thoughts as well. For this reason it is important to keep in mind that common views and opinions are not always based on reality and sometimes they can even be far from it. You should try to diversify your sources of information, at least superficially look at views that oppose your own and try to form opinions for yourself based on your own reasons, reactions and feelings instead of submitting to the herd. On the other hand, if you do not pay attention to privacy and embrace machine learning algorithms to personalize your online experience the algorithms will show you content related to what interests it has determined you have. And this is where one commonly overlooked issue appears because as you keep seeing results related to your previous activity you are slowly funneled towards a narrow set of views and interests. This can be good in some cases, as for example if you use the internet for work or study it can keep you focused on what’s important, but if you also use the internet to read news or to inform yourself on various topics, as most people do, having a narrow view of the world around you is far from ideal. As far as news, views and events are concerned, you will also have an interest in subjects that trigger negative emotional reactions in you such as fear, anxiety or anger. All forms of media have relied on this from their creation. And since you can find anything you can think of on the internet, you will definitely stumble upon something that touches you to some degree. When start feeding your negative emotions in the predictive algorithms designed to personalize your online experience, the internet can start to lean toward the dark side quite noticeably. To give you an example, if someone fears a solar storm that will wipe all modern technology might occur sometimes in the near future, and they start researching the subject online, they will easily fall into the algorithm’s rabbit hole and constantly be exposed to news, theories, conspiracies, doomsday scenarios etc. This can easily influence their judgment and make them feel as their fear is truly justified; they see a lot of people talking about the matter, they can get in touch with them on various forums and reinforce their beliefs and so on. You can easily see how large groups of people can become convinced that the end of the world by solar storm is imminent and they feel that they need to start preparing for it. This is what the fearful chicken metaphor represents. The internet and artificial intelligence, even if both are still in their infancy, are true marvels of what humans can achieve; they place the entirety of human knowledge, past and present, in our hand and allows us to connect across the planet like never before in our history. It’s up to us to choose if we want to use this technology to improve ourselves and evolve further as a species or if we abandon ourselves to rudimentary algorithms and let them make our choices, influence our thoughts and feed our fears and prejudices leading us towards a new era of darkness and ignorance that might not be as easy to overcome.